This shop for Fish Taco Mason Jar Salads has been compensated by Collective Bias, Inc. and its advertiser. All opinions are mine alone. 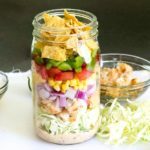 #Swapyourburger #CollectiveBias These Fish Taco Mason Jar Salads have all the delicious flavors of your favorite fish taco in a tasty, convenient jarred salad! 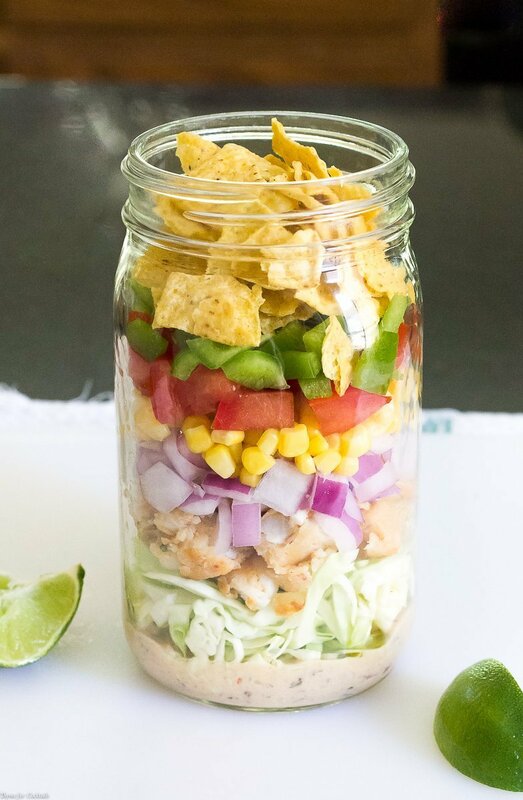 Creamy Chipotle Lime Dressing, shredded cabbage, chunks of Trident Seafoods® Wild Alaskan Pollock Burgers, red onions, corn, tomatoes, green bell peppers and crunchy tortilla chips. Paul is always saying that I don’t make him fish tacos. In fact, for the last three years when asked what he wants for dinner I get the same two answers. Meatloaf or… yep, you guessed it! Fish tacos! 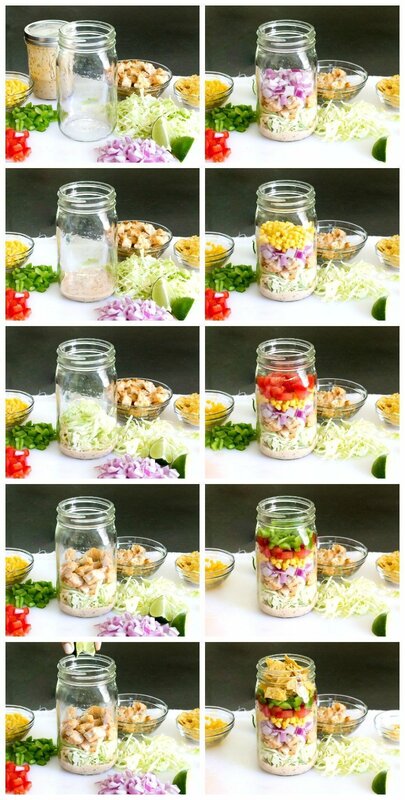 [bctt tweet=”Fish Taco Mason Jar Salads #fishtaco #salad #foodie” username=”thyme4cocktails”] I love a good fish taco as much as the next gal. But to be honest I get a little nervous when it comes to selecting and preparing seafood. It’s not an ingredient I grew up with in the Midwest. Fried catfish was about as adventurous as we got! So when I saw Trident Seafoods® Wild Alaskan Pollock Burgers on a recent Costco trip with my friend Ashley from Cute As A Fox they were just the thing to get my hubby’s favorite taco on the casa menu. Dare To #Swapyourburger #Contest I like that wild Alaska pollock is mild in flavor like cod; providing all the benefits of seafood including healthy Omega-3s. 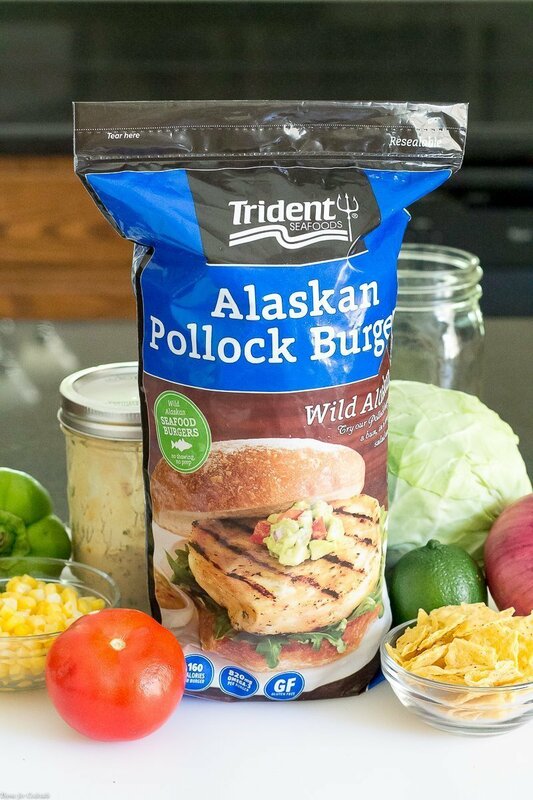 Trident Seafoods® Wild Alaskan Pollock Burgers are a delicious and healthy alternative to traditional burgers. But tacos are kind of tough to prepare ahead then transport for a lunch on-the-go. Plus I am always trying up our veggie intake. 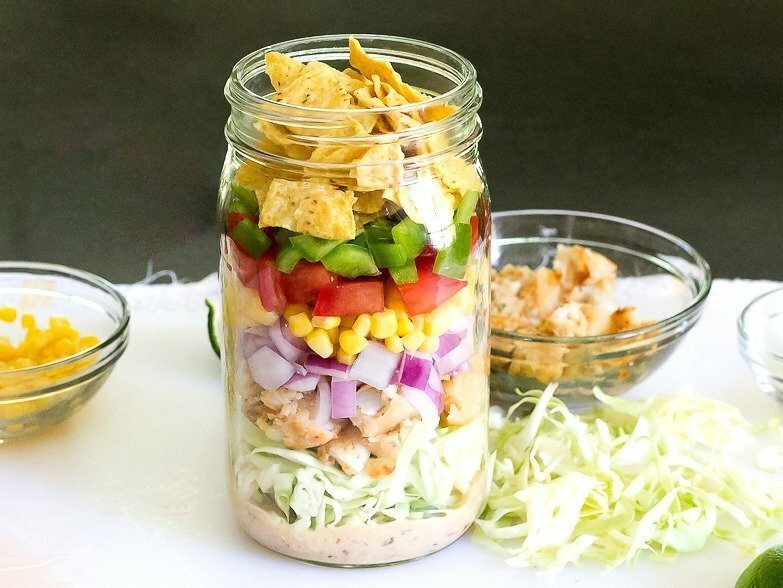 My solution was to make these Fish Taco Mason Jar Salads with layers and layers of taco-ie-goodness. Or would it be tacoliciousness? Any way you look at it, this is one heck of a salad! 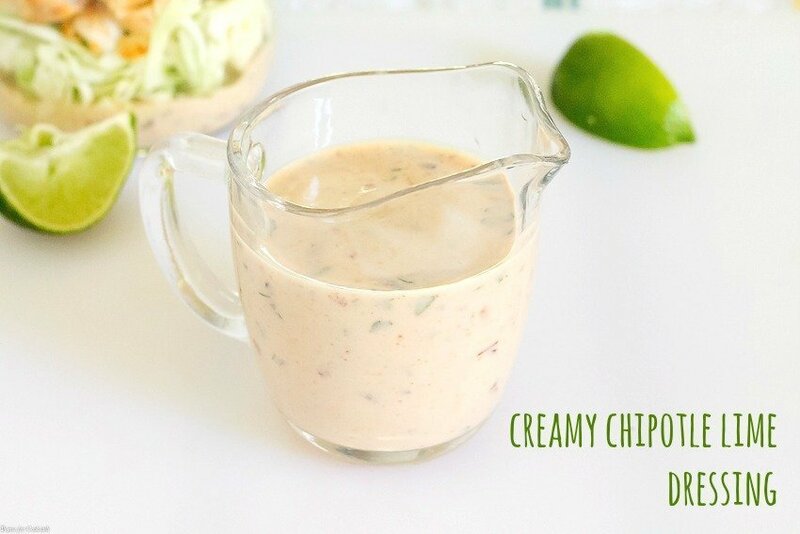 And the Creamy Chipotle Lime Dressing as a real tangy kick. A perfect compliment to the pollock burgers. 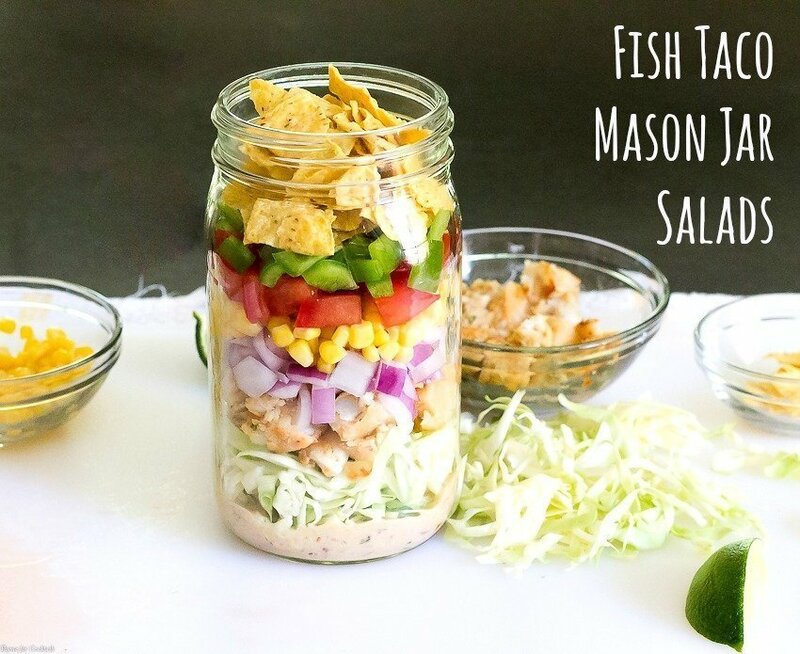 These Fish Taco Mason Jar Salads have all the delicious flavors of your favorite fish taco in a tasty, convenient jarred salad! Creamy Chipotle Lime Dressing, shredded cabbage, chunks of Trident Alaskan Pollock Burger, red onion, corn, tomato, green bell pepper and crunchy tortilla chips. Prepare burgers according to package directions.Set aside to cool. Layer ingredients in order listed in 1 quart or 2 pint sized mason jars. Adjust amount of ingredients based on personal preference. Squeeze lime juice over pollock burger layer. Serve room temperature or chilled. Shake jar to mix ingredients. Can be made up to two days ahead. Seal and refrigerate if not serving immediately. They are great for on-the-go!